Willkommen in Österreich! Welcome to Austria – home of great skiing, Lippizaner Stallions, and a huge variety of music which is so diverse, from yodeling (yes, I like “The Lonely Goatherd,” too!) to Alpine Punk to Death Metal (Belphegor, anyone?) to the Vienna Boys Choir (which sings on Sundays at the Habsburg Palace) to the Vienna Philharmonic. Throughout its centuries-long history, music has always been a center point of Austria’s culture. Its capital city, Vienna, catapulted to an arts and cultural center beginning in the 1600s thanks to traffic brought on by trade along the Danube and an influx of travelers from near and far. 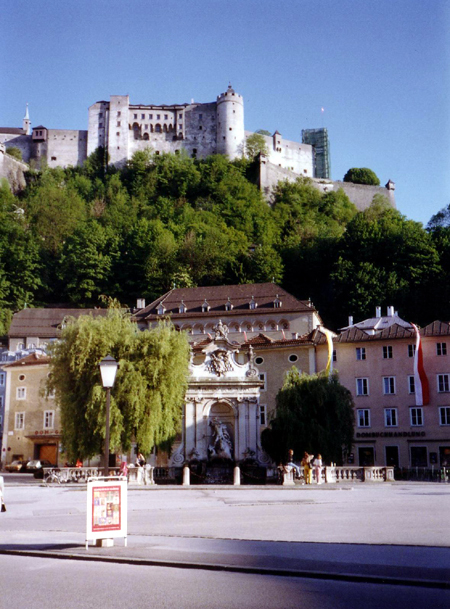 It is in the 1800s however, that Austria had made itself known as the premier city in Europe for the highest caliber of music. A couple of centuries earlier and Frank Sinatra would have sung those lyrics about Vienna. 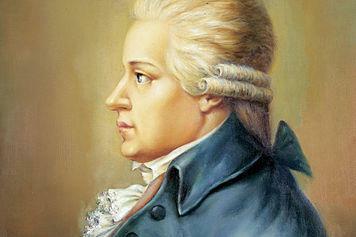 Known for: Some of everything – concertos, symphonies, operas, chamber music and sacred music. He was also a silvologist! Don’t worry if you had to look that up – I did, too. That just means that in addition to composing and playing the violin, Carl Ditters was also an environmentalist. He was a student of nature, forests and their ecosystems. Can you imagine a nicer setting for some of his music? Carl Ditters von Dittersdorf composed a little bit of everything, but he also did a lot of performing. He spent several occasions playing in a string quartet with one of his composition students, Johann Baptist Wanhal, Franz Josef Haydn and Wolfgang Amadeus Mozart. Hayden played 2nd violin, Ditters played 1st, Mozart played the viola and Wanhal the cello. How’s that for an impressive quartet?! Unfortunately I don’t remember the pieces of his I heard on the radio, but I do remember that I enjoyed them all. How about his String Quartet No. 1 in D-Major. Can’t you just imagine seeing him with Haydn, Mozart and Wanhal? Wow! Or Symphony No. 4 in F-Major – also known as “Die Rettung der Andromeda durch Perseus” (The Rescuing of Andromeda by Perseus). He composed some rather wonderful music, don’t you agree? I hope you took a moment to listen to them – especially the harp concerto! My next profile will be later this month when we travel to Monaco! Tags: Austria, Carl Ditters von Dittersdorf, Classical Music, Harp, Haydn, Mozart, Passport, Profile, Salzburg, VIenna, Wenhal. Bookmark the permalink.